Published on 21 July 2012. This is Northern Rock’s flagship branch on Northumberland Street in Newcastle – as previously featured ad nauseam on 24hr news in 2007, when there was a run on the bank. 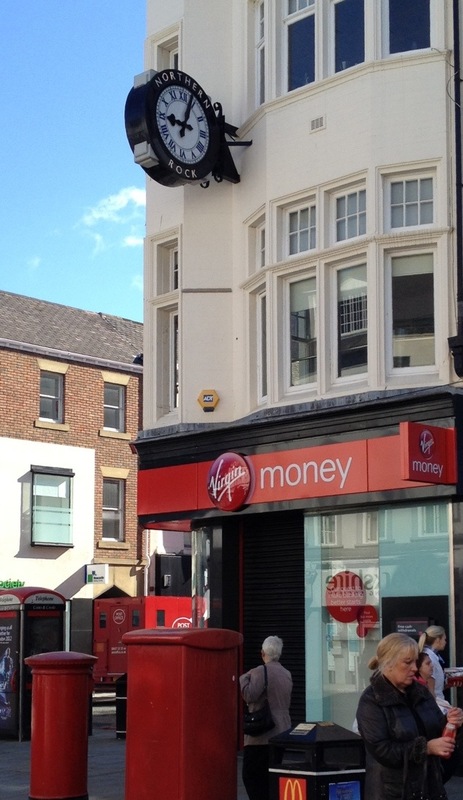 It’s just finished its rebrand to Virgin Money – though it’s nice to see that they’ve left the distinctive clock in place. This 1,735th post was filed under: Photo-a-day 2012, Banking, Newcastle-upon-Tyne, Retail.